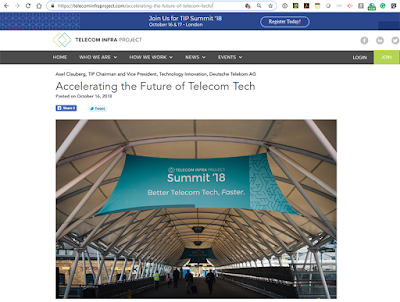 At the third annual the Telecom Infra Project (TIP) Summit underway this week in London, Deutsche Telekom, Telefónica and Vodafone announced a request for information (RFI) to investigate how they can adopt TIP technologies, which are supported by a growing ecosystem of vendors and manufacturers. The five TIP Project Groups — mmWave Networks, Open Optical Packet Transport, OpenCellular, OpenRAN and vRAN Fronthaul — are presenting their progress in bringing their technologies to market. OpenRAN RFI: Vodafone and Telefonica have contributed a joint specification to the OpenRAN Project Group and are now announcing the vendors they’ve selected as the leading candidates to produce interoperable RAN solutions: Altiostar, Mavenir, and Parallel Wireless. 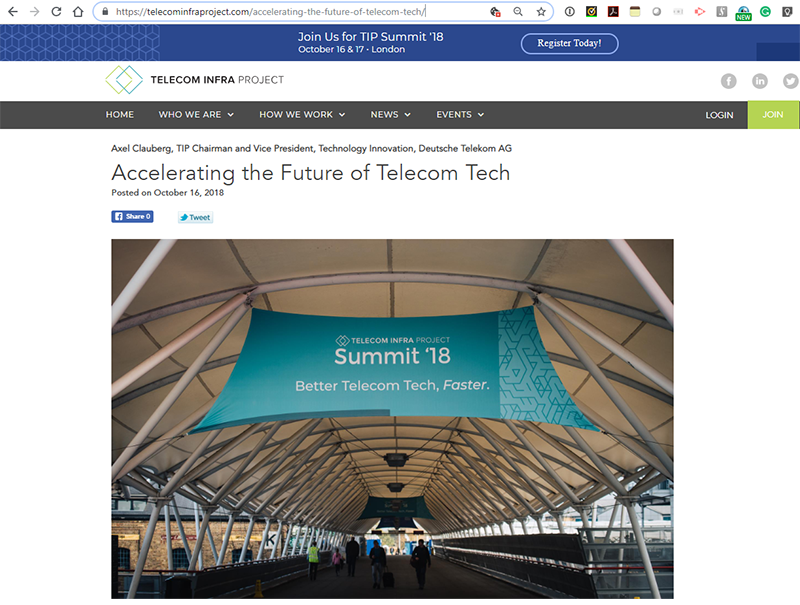 Next stages involve deployments in the field, with trials of OpenRAN platforms with Facebook alongside Vodafone in Turkey and Telefónica in Latin America. OpenCellularTrials: In addition to ongoing OpenCellular trials, the OpenCellular project group announced that the TIP Community Lab is using software from TIP members Nokia and Accelleran. Accelleran is combining the OpenCellular standard platform with its Carrier Grade LTE software and support services, integrating with Nokia’s Kuha Community Management system. The resulting solution will be incorporated into the UK’s 5G RuralFirst initiative and move from lab test to field trial deployment. mmWave RFI and Trials: numerous members are piloting mmWave technologies in global trials and sub-groups focused on solving deployment challenges associated with mmWave frequencies. Deutsche Telekom, co-chair of the project group, intends to publish an RFI for 60 GHz Fixed Wireless technology to provide gigabit connectivity. In addition, Deutsche Telekom subsidiary Magyar Telekom contributed a case study about its trial deployment using Facebook’s mmWave technology, Terragraph. The case study highlights some of the results and key learnings coming out of the trial. 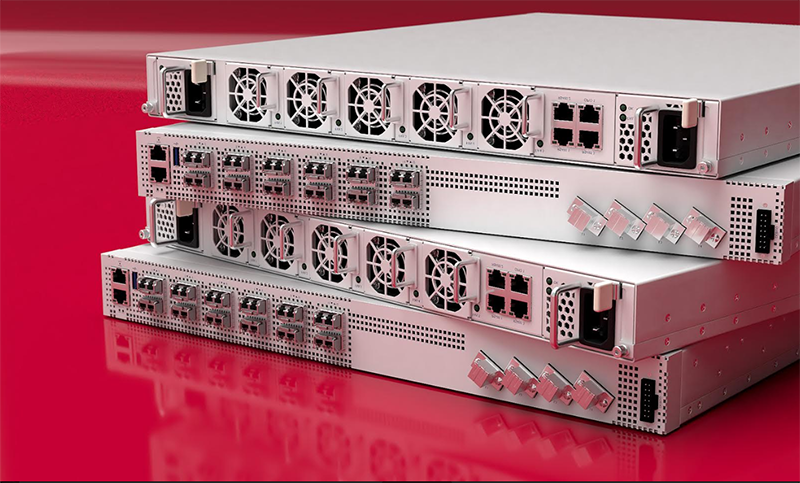 Open Optical Packet Transport: Voyager, an industry-first open and disaggregated transport device has just become generally available from ADVA Optical. The success of the collaboration model served as a base for a new sub-group: Disaggregated Cell Site Gateways, where four tier-1 operators – Vodafone, Telefónica, Orange, and TIM Brazil – have worked together to define their technical needs for 5G cell site routers, and with the initial two partners, ADVA Optical and Edgecore Networks, announcing their commitment to produce “Odyssey-DCSG”, the first implementation of technology that meets those needs. End-to-End Network Slicing White Paper and Trials: The End-to-End Network Slicing Project Group is sharing a white paper “Creating a Network Slicing Ecosystem through TIP” defining various applications for network slicing in 4G and 5G networks. The Project Group, led by BT and HPE, is currently testing and evaluating 4G proof of concepts with a roadmap to extend these efforts to 5G use cases. Edge Computing Trials: The Edge Computing Project Group entered into two new trials in the BT Community Lab testing two edge computing use cases: mission critical drone control and high bandwidth content caching. The Project Group is also continuing the Telefonica lab trials with the goal of sharing learnings by the end of the year. At the Telecom Infra Project (TIP) Summit in London, Cumulus Networks announced a Transponder Abstraction Interface (TAI) that defines an API for providing a vendor-independent way to control transponders from various vendors and implementations in a uniform manner. Cumulus said TAI removes the friction for Network OS vendors to support new hardware while allowing chip vendors to take their solutions to market more easily with existing network software that can support them out of the box. Cumulus Networks wrote the initial reference device driver and open sourced it through the Telecom Infra Project GitHub repository. The company said that since announcing its intent to make Cumulus Linux available on Voyager at last year’s Telecom Infra Project Summit, it has conducted trials of Voyager with Vodafone, NYSERNet, Internet2, GRnet and CESNET. The launch of TAI furthers Cumulus’ goal of bringing open, optical networking solutions to the industry at large. “We are excited to see how multiple partners are working together to solve the integration challenge. This is an important step towards making disaggregated solutions evolve faster, and we’re pleased to see how Cumulus has been one of the leaders of the initiative,” said Luis MartinGarcia, Network Technologies Manager, Facebook. 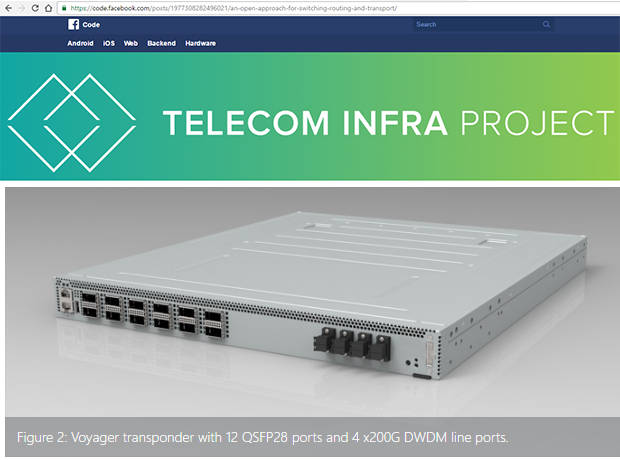 Edgecore Networks announced plans for Odyssey-DCSG, an open networking cell site gateway that conforms to the Disaggregated Cell Site Gateway (DCSG) specification developed by Vodafone, Telefonica, Orange, and TIM Brazil within the Telecom Infra Project (TIP). 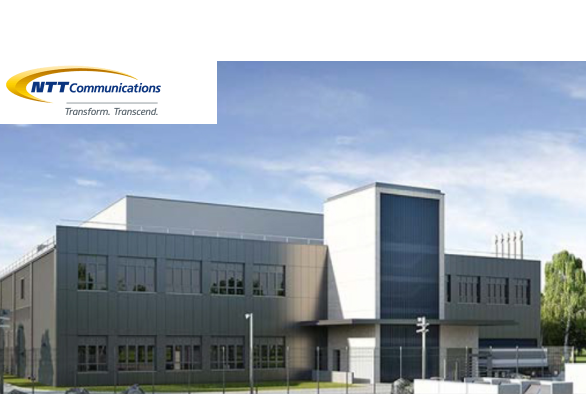 Edgecore said it will contribute the complete hardware design of the cell site gateway to TIP, and will make the Odyssey-DCSG product generally available in Q3 2019. The Edgecore Odyssey-DCSG gateway will enable service providers to deploy 4G and 5G wireless services with the economies of disaggregated open network technology. Qualcomm introduced a family of 60GHz Wi-Fi chipsets, delivering 10+ Gbps network speeds and wire-equivalent latency. The 60GHz Wi-Fi portfolio (QCA64x8 and QCA64x1) support 60GHz Wi-Fi Sensing applications like proximity and presence detection, gesture recognitions, room mapping with precise location and improved facial feature detection. 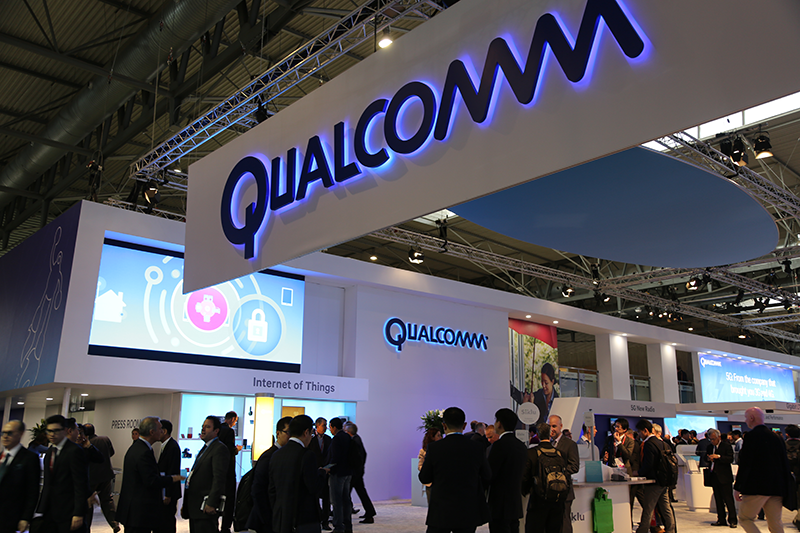 Qualcomm notes that it is the first-to-market with a 60GHz Wi-Fi solution with optimizations based on the 802.11ay specification, enabling best-in-class 60GHz Wi-Fi speeds. The devices also set a new low-power benchmark for extended device battery life. 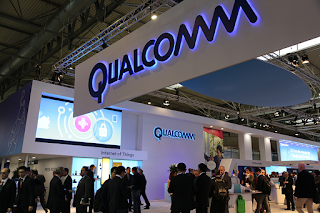 Qualcomm’s family of 11ay 60GHz Wi-Fi chipsets includes QCA6438 and QCA6428 for infrastructure and fixed wireless access, and the QCA6421 and QCA6431 for mobile applications. Qualcomm is working with Facebook to deliver high-speed internet connectivity with Facebook’s Terragraph technology through the development of a multi-node wireless system based on the QCA6438 and QCA6428 chipsets. 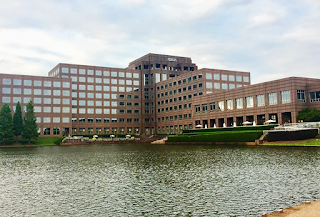 Arista Networks unveiled the next phase in its campus architecture by introducing wireless networking into its CloudVision platform. 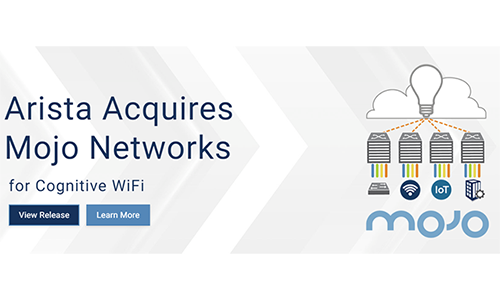 The wireless capabilities, which are based on Arista's acquisition of Mojo Networks, include access points for a controller-less wireless network. These AP solutions are available in disaggregated options harnessing the power of cloud, machine learning and cognitive computing to deliver great experiences to WiFi users. Arista's CloudVision's Device Analyzer provides inventory and deep flow analysis of all connected devices. Arista said campus administrators can access device type, connectivity method, location and communication patterns. This visibility enables an administrator to identify unauthorized traffic and compromised endpoints. Since CloudVision spans the data center and the campus, customers can leverage a single platform for end-to-end troubleshooting. Arista’s Cognitive WiFi is based on a similar CMP model for cognitive analytics unifying the operational experience across wired and wireless. CloudVision WiFi enhances real-time insight into the experience of WiFi clients to connect and utilize the network. ADTRAN reported third quarter 2018 revenue of $140.3 million compared to $185.1 million for the third quarter of 2017. Net income was $7.6 million compared to $15.9 million for the third quarter of 2017. Earnings per share, assuming dilution, were $0.16 compared to $0.33 for the third quarter of 2017. Non-GAAP earnings per share were $0.21 compared to $0.37 for the third quarter of 2017. GAAP earnings per share include the expense of stock-based compensation, acquisition related amortizations and other expenses, and restructuring expenses. The reconciliation between GAAP earnings per share, diluted, and non-GAAP earnings per share, diluted, is in the table provided. 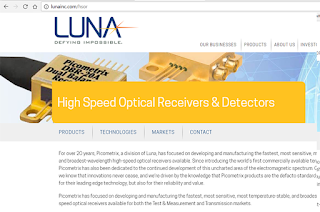 Luna Innovations, which specializes in high-performance fiber optic-based test products for the telecommunications industry and distributed fiber optic-based sensing for the aerospace and automotive industries, has acquired Micron Optics, a provider of optical components and laser-based measurement technology. Financial terms were not disclosed. Micron Optics’ sensing and measurement solutions are deployed in multiple industries including in automotive and aerospace, Luna’s core customer base. T-Mobile announced its commitment to power its Bellevue, Wash., headquarters with 100% renewable energy by 2021. T-Mobile has previously announced an RE 100 clean energy commitment to use 100% renewable energy across the entire company by 2021. Twilio agreed to acquire SendGrid in an all-stock transaction valued at approximately $2 billion. SendGrid specializes in trusted email delivery. Twilio operates an API-driven cloud communications platform. Twilio said the company would offer developers a single, best-in-class platform to manage all of their important communication channels -- voice, messaging, video, and now email as well. ADVA announced commercial availability of its open and disaggregated packet optical solution based on the Telecom Infra Project's (TIP) Voyager system. The Voyager packet optical terminal essentially combines optical transport with packet switching and routing in one extremely compact device. Wrapped around this white box terminal and its operating system, ADVA provides an open line system, network management capabilities and a full range of à la carte services, including installation, commissioning, maintenance and monitoring. 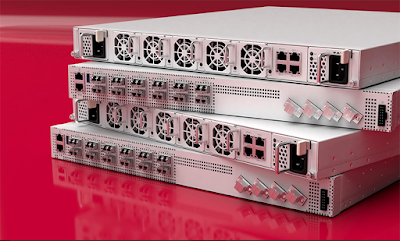 ADVA said its Voyager solution presents customers with a turnkey approach to developing packet optical networks that can be integrated into their existing architectures. By combining hardware, software and services from multiple partners in one unique bundle, customers benefit from an easy-to-use and completely open solution. Long-term Voyager partners, Celestica and Cumulus, have played key roles in bringing the new packet optical solution to market and will be instrumental with the first customer deployments. ADVA announced its commitment to developing a complete commercial solution to support the Telecom Infra Project's (TIP) Disaggregated Cell Site Gateway (DCSG) group. ADVA said its solution will comprise a fully tested and integrated white box gateway device and a comprehensive bundle of installation, commissioning and monitoring services. ADVA will be working closely with partners, including Edgecore, to develop the cell site gateway device. Commercial availability is targetted for the second half of 2019. “With ever increasing bandwidth demands and the upcoming rollout of 5G services, mobile networks are perfectly suited for the deployment of high-volume, disaggregated and open network elements, which have been proven to lower costs and increase service flexibility in our customers’ telecom and data center networks,” said Mark Basham, VP, business development, EMEA, Edgecore Networks.